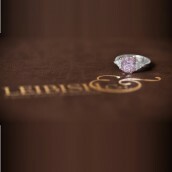 Diamonds are and always have been a reflection of wealth, stature, luxury and obviously eternal love. However, when it comes to the more luxurious, and the higher value, color diamonds are often the talk of the trade. Kings and Queens of the past and present have collected these pieces because of what they represent. Today, many of the rich, and famous and the most popular celebrities, happily adorn their color diamond jewelry in public. Since diamonds never lose their glamour or galore, the De Beers marketing slogan of “Diamonds are Forever” made a really heavy impact on women of today. In fact, the idea of presenting a diamond engagement ring when proposing to be wed has become so widely spread that today it is a given that it should be expected. It is only as of quite recently that color diamonds are so easily available and they are therefore slowly attracting more and more attention. Through the hundreds and thousands of diamond carats mined each year, not everything found is of actual gem quality. Still there is a relatively large selection from which to choose from. Diamonds basically split into two separate categories. There are colorless, meaning diamonds with the less color the better, and there are color diamonds, where the more color the higher the value. With colorless, the lack of color is what makes it a more desirable stone. The purity is measured on a D-Z color scale. Since colorless stones are more widely available, these are the diamonds that most are familiar with. A rough colorless diamond next to a rough yellow diamond. The cutter has already began marking the diamond in preperation for cutting the stone. Color diamonds, on the other hand, are measured quite differently. The color is broken down into three categories, where the tone, the hue, and the saturation are all measured. The beauty of color is that they all emotionally connect with people differently, and therefore there is no one color or intensity which is considered more beautiful than another. However, the value of the diamond heavily depends on how rare it is combined with its market demand. 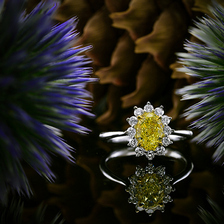 The color is depicted by what is seen in the stone, for example a yellow diamond or a purplish pink diamond, and the intensity of how strong it is shown. Like anything else of value, many have attempted to artificially create the diamonds. Naturally, pun intended, the artificially enhanced stone is not worth anything close to as much as a real natural diamond is. Now that so many artificially enhanced diamonds, both colorless and color, have been introduced to the market, diamond grading institutes like the GIA have ruled that the fact that they are artificial must be clearly stated on a diamond certificate. Although the pieces created can be quite attractive, the use has become more for costume jewelry since they lack real qualifications, and to present these stones as the real thing would be downright wrong. Now that there are so many artificial colored diamonds in the market, although it is not 100% grammatically correct, when referring to a color diamond the term used by those in the trade is a natural fancy color diamond. It is interesting to see how relevant the name of the stone really is since the addition of two letters can confuse so many with regards to the origin and the price. In short, color diamonds are natural, and colored diamonds represent artificially enhanced stones. After having worked in the color diamond market for some time, we can attest that when referencing natural stones, the phrase natural color diamonds should be used. Some of the content on the site was written using inaccurate terminology simply because it was more grammatically correct. 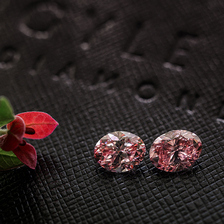 However, as incorrect as it may appear to some at first, natural color diamonds is the right way to label these stones.